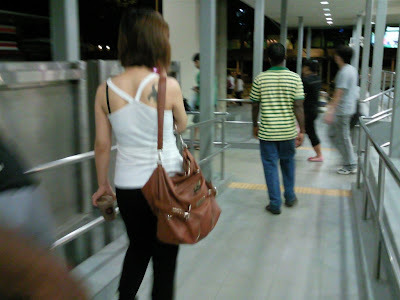 Do you notice more girls are having tattos on their bodies in Singapore ?? 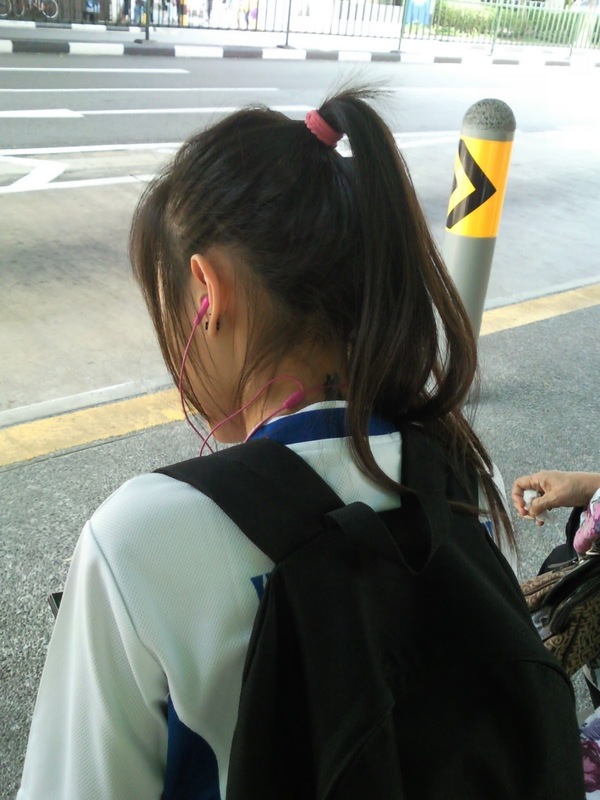 Its seem to becoming a trend in Singapore. 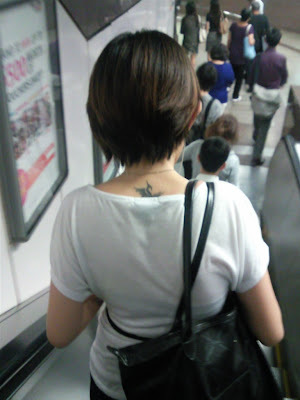 Religious, Trendy or Rebelious? 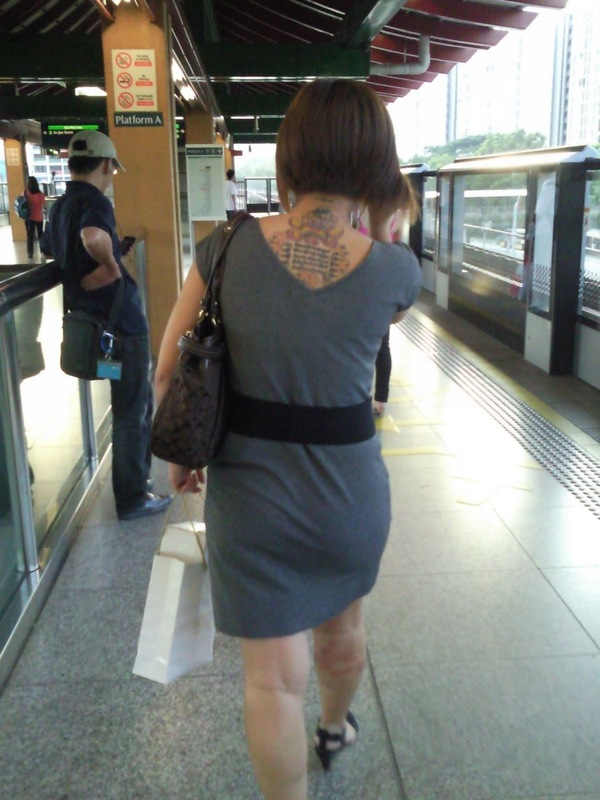 I dun know abt Singapore but most in the Ah-Moh world treat tattoo as an artistic work. 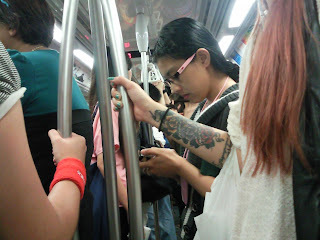 Last month, my friend Nel showed me the tatoo on his arm and explained to me that every symbol has a special meaning. He told me the symbols usually identify which organisation the person belongs to. In the Army as a section commander (30 SCE), while bathing I do noticed many animals tattoo on many of the the mens' body. One of them had a Tiger tattooed behind his back, many of the soldiers called him "White Tiger"! This White Tiger man seems to be treated as the chief in the platoon. 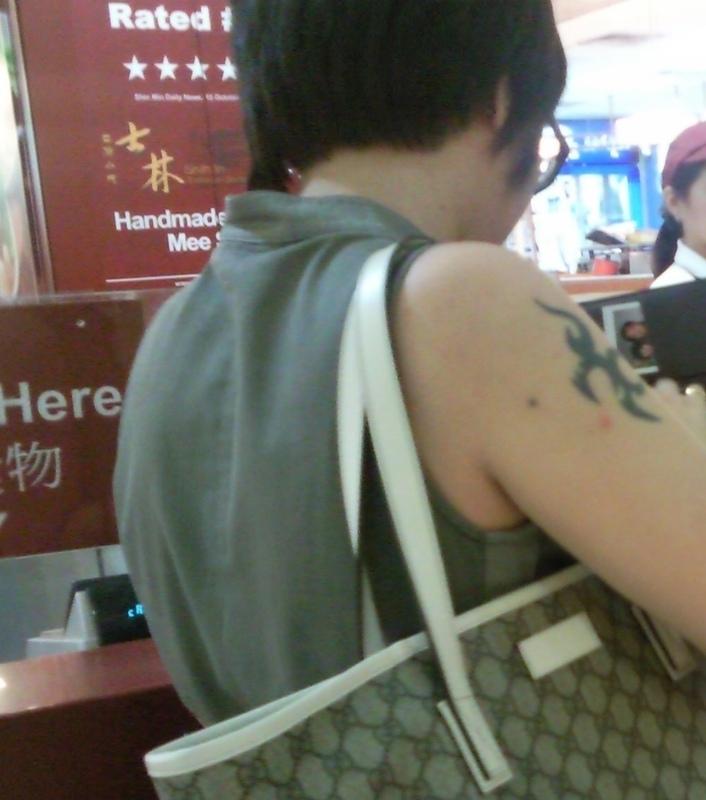 In another Army camp I went to , saw lots of the men having words being imprinted all over their body! 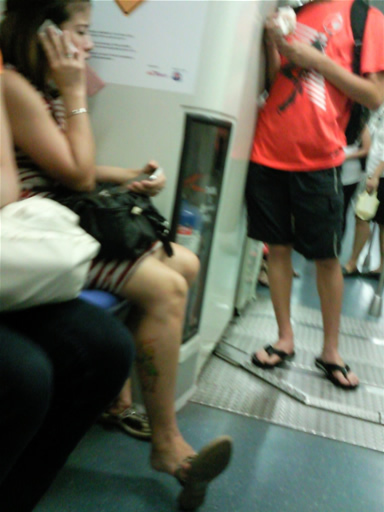 One who has an angel-like picture printed called himself "Devil" and another called himself "Demon". 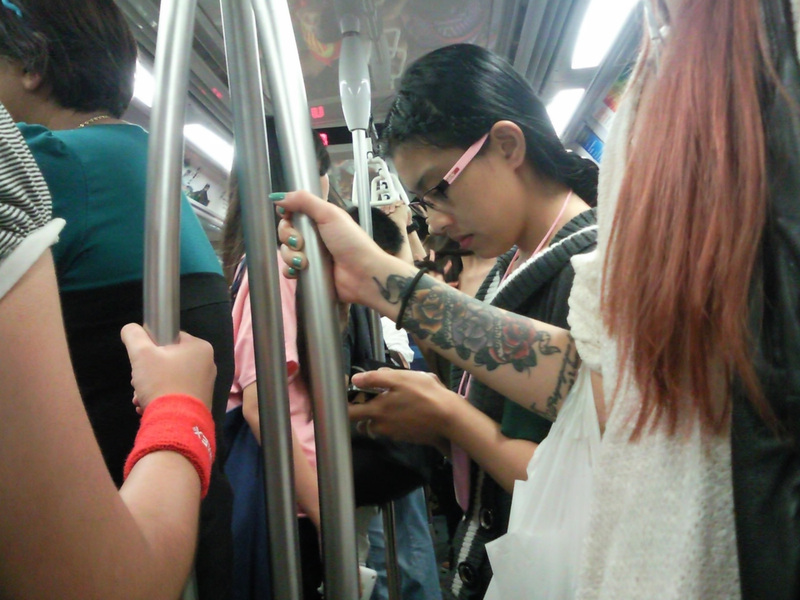 and why increasingly more girls are having their bodies tattooed in Singapore? One on the leg and another at the back. 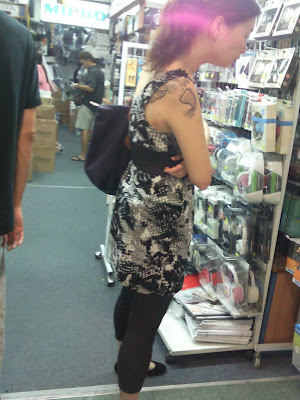 Quite prominent. 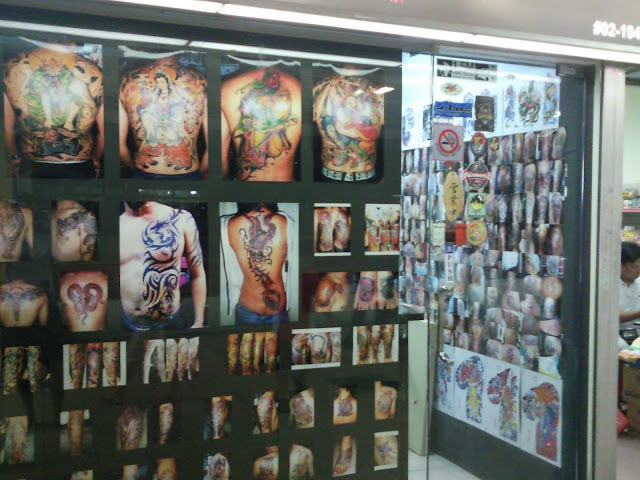 Tattoo Shop In 2nd level of Boon Lay Shopping Center!